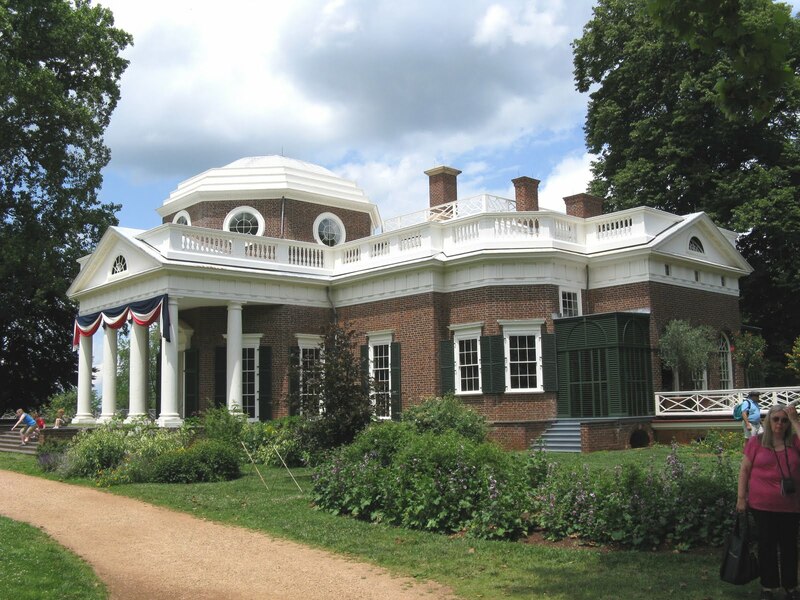 President Thomas Jefferson’s Monticello, in Charlottesville, Va. is one of the most visited homes in the United States. Markedly changed from when I visited in the early ’60s, Monticello, Thomas Jefferson’s home in Virginia, now has a formal visitor’s center. A movie at the center notes many of our third president’s ideas are still used to motivate people, and President Barack Obama is shown citing him. Interactive television displays recount his history, one showing how he kept modifying the structure of the house, an ongoing project that continued until his death. Jefferson spent lavishly and always seemed in need of money. The display area features a striking history of some of his slaves. He didn’t free them when he died, even those who were reportedly his own children. The tours at the house start every 10 minutes with 25 people in each group. Having arrived early, I only had to wait an hour and a half. Tour guides were excellent, each modifying their spiels to fit their personality. 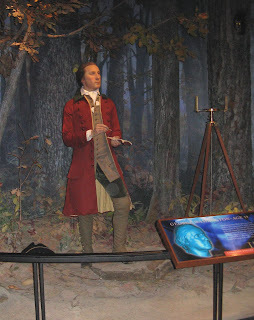 Visitors to Jefferson’s home were often kept waiting while he was working on one of his many projects. 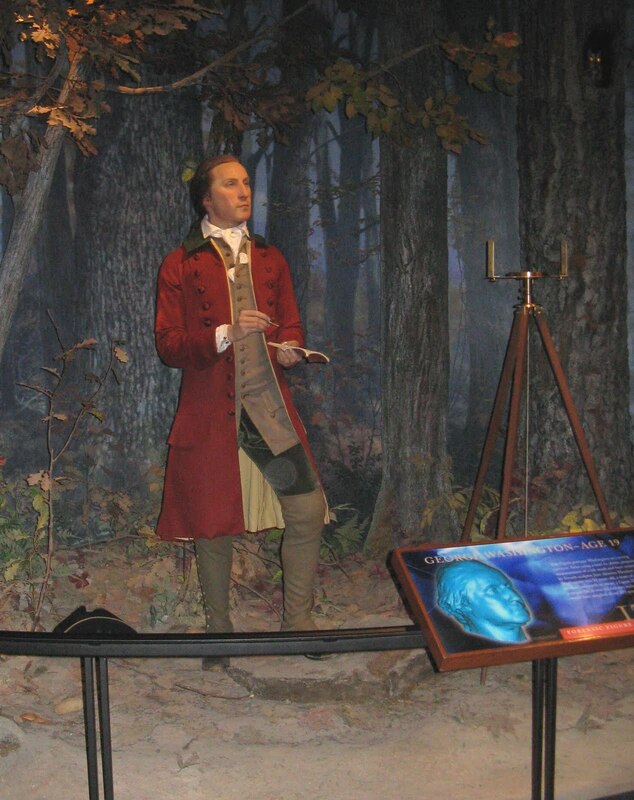 In the entryway, he had objects for visitors to admire and learn from, including mastodon bones, antlers from different kinds of animals and Indian artifacts brought back from Lewis and Clark’s expedition. Jefferson wrote 19,000 letters using a device he either invented or improved upon, which made a copy for him to keep. A great reader and book collector, he sold his collection to start the National Library. His library includes some of his original books and copies of a large number of books he was known to have owned. His study is full of scientific instruments, including the telescope he used to watch the construction on his pride and joy, the University of Virginia. His bed is in a partition between his office and the bedroom. Rooms have skylights necessary because of the lack of lighting at that time. Jefferson’s daughter, Martha Jefferson Randolph, used to teach her eight children in one of the rooms on the main floor. Clever touches in the dining area include a dumbwaiter, a special spinning shelf that allowed waiters to serve food without entering the room and interrupting the conversation. In the parlor, there are 48 paintings of famous men, thought to be conversation starters. Jefferson thought the three greatest men in history were Francis Bacon, Isaac Newton and John Locke. After the house tour, I explored the extensive gardens. Jefferson saw himself as a farmer and claimed that as his trade. He collected plants, experimented with growing methods and, of course, produced most of what was eaten on the farm. For this, he needed a large number of slaves, who also had to be fed.